You’ve got just a few more weeks to catch Noah Da Costa’s new show Concrete at the Gallery at NUA. Noah is the son of the painter Caroline Hoskin and grandson of the St.Ives sculptor John Hoskin. He studied at NUA when we were known as NSAD (1988-90) before commencing a successful career as a commercial photographer. Represented by Tom Rowland Fine Art, this is Noah’s first major show in Norwich. 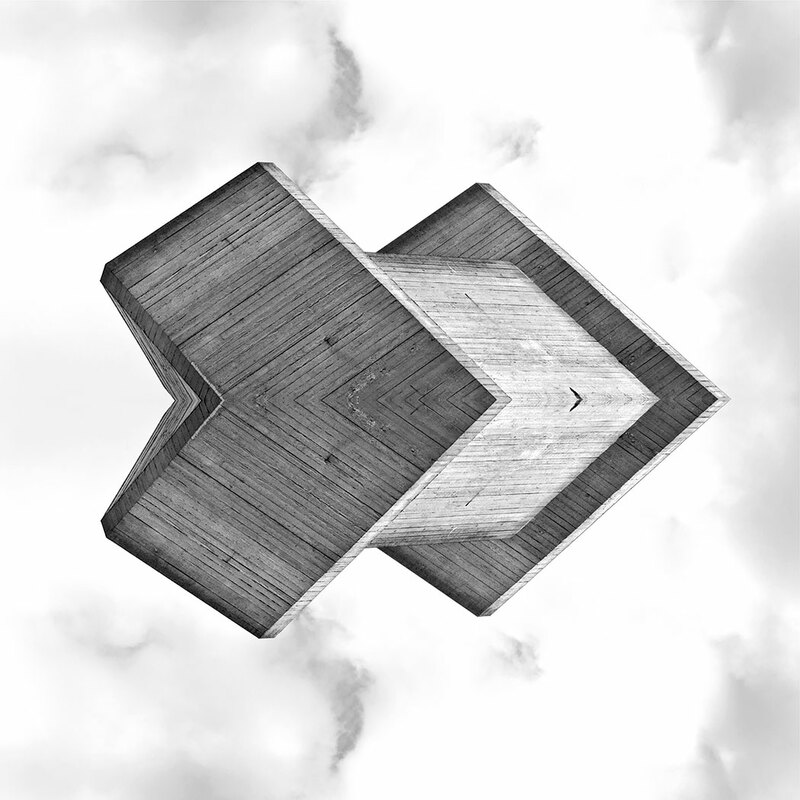 It brings together a large number of his large format monochrome images, all derived from photographs of Denys Lasdun’s National Theatre or University of East Anglia (the campus of which was Noah’s home for a period as a child). While the main body of the exhibition consists of Noah’s large, square prints, the second room of the exhibition is a collection of newer, smaller and variously sized colour pieces. In addition to the work itself, the gallery has a limited number of boxed prints available for sale, and two catalogues for the special exhibition price of £5 each. 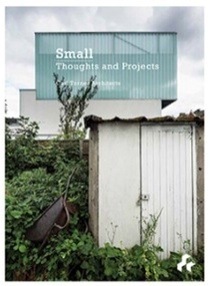 One of these features a foreword by myself, but the photos more than make up for it. Until Saturday 1 March 2014. Open Tuesday to Saturday 12:00 – 17:00 (closed Sunday and Monday), free admission. The trunk roads that connect Norfolk with the rest of the country are beginning to assert themselves on this blog as something of interest to me. 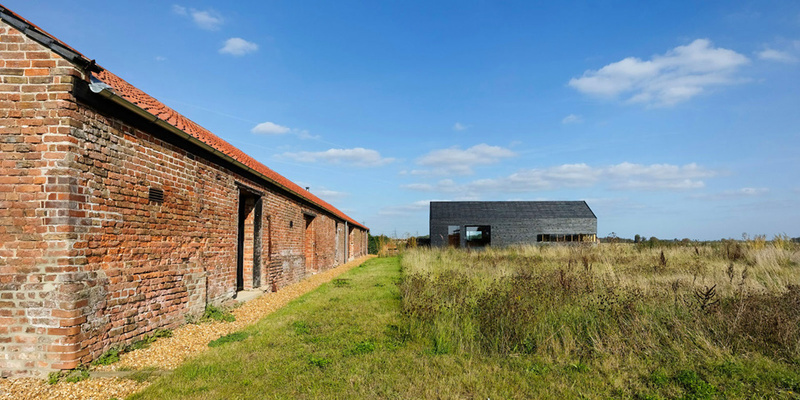 How does rural architecture, both rural and industrial, manifest itself when there is no topography to speak of? How do domestic landmarks evolve alongside major highways? In order to maintain some editorial balance, it’s time to consider how Norfolk is connected not by road, but by rail. Traveling by train to Norwich is, generally speaking, only marginally more enjoyable than driving. If the A11 and A17/A47 are there to punish drivers, then Greater Anglia and East Midlands Trains (EMT) are there to punish rail passengers. Greater Anglia, at least, have comfortable old fashioned (or just old) intercity carriages providing half-hourly conveyance to and from London, but they are motivated by locomotives drawing power from unreliable and easily collapsed electric wires. EMT does, at least, connect Norwich hourly with some of the bigger cities in the north of England, but it uses two carriage Sprinters to do so. By the time you arrive in Nottingham, Sheffield, Manchester or Liverpool, your torso will have adopted the baseline resonance of the Cummins diesel engine suspended beneath your seat. 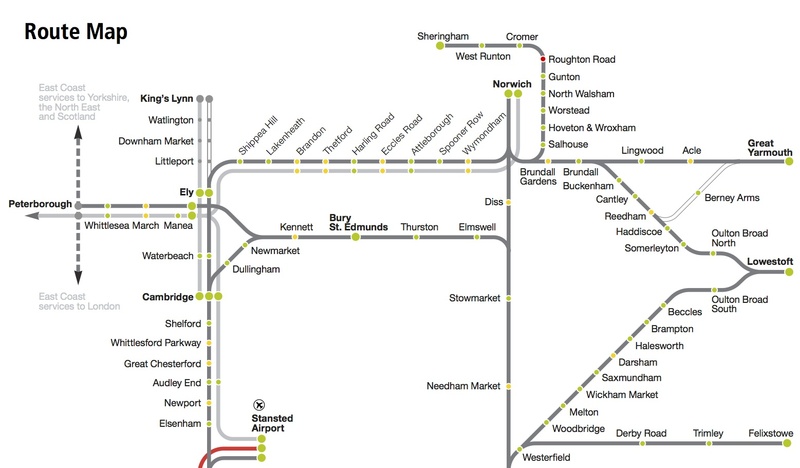 Greater Anglia’s route map (above, ripped without apology in recompense for many hours of delays) uses a vertical line to illustrate Norfolk’s single mainline railway, connecting Norwich with London Liverpool Street. A handful of rural lines radiates from Norwich, including the Breckland Line to the next London-bound line at Ely. On the map, the Breckland Line has been smoothed out to a horizontal line. In reality, it is absurdly twisty. It passes, for instance, not once, not twice, but three times under the A11 dual carriageway around Thetford. The line isn’t electrified, and a number of speed restrictions either side of half barrier level crossings hampers journey times. It takes eighty minutes to cover the sixty or so miles between Norwich and Cambridge, and that’s only possible by avoiding some of the lesser used stations. On the Breckland Line, there are five notable omissions. From west to east, with their annual estimated passenger numbers for 2010/11, are Shippea Hill (812), Lakenheath (404), Harling Road (3,494), Eccles Road (1,676) and Spooner Row (640). Most see only one or two trains a day each weekday and nothing on Sundays. Lakenheath is a strange inverse, with no weekday service at all, and weekend trains calling on request to provide access to the nearby RSPB reserve. In each case, these are small unmanned halts that somehow (see their respective Wikipedia pages, linked above, for potted histories) avoided closure. Today they continue to exist in a state of limbo, in the closed circle of not generating sufficient passengers to warrant increased service, but not having sufficient service to attract additional passengers. With the competitiveness of rail journey times between Norwich and Cambridge already questionable, it’s no surprise that they have been sacrificed to appeal to intercity traffic. In June 2013, the average price of a house in Cambridge was in excess of £350,000 (source). In Norwich the average was below £170,000 – less than half that of Cambridge (source). While Norwich may not appear to have the commuter draw of Cambridge, the city maintains almost five thousand park and ride parking spaces, supporting a veritable daily influx of commuters and day trippers. Between them, the five least popular stations on the Breckland Line, and the three (Harling Road, Eccles Road and Spooner Row) that shadow the path A11, might provide the infrastructure for a string of sustainable rural developments situated between the cities of Norwich and Cambridge. Could it happen? Perhaps. Look to the top left of the route map above, and the twin grey lines connecting Ely with the East Coast Mainline at Peterborough. 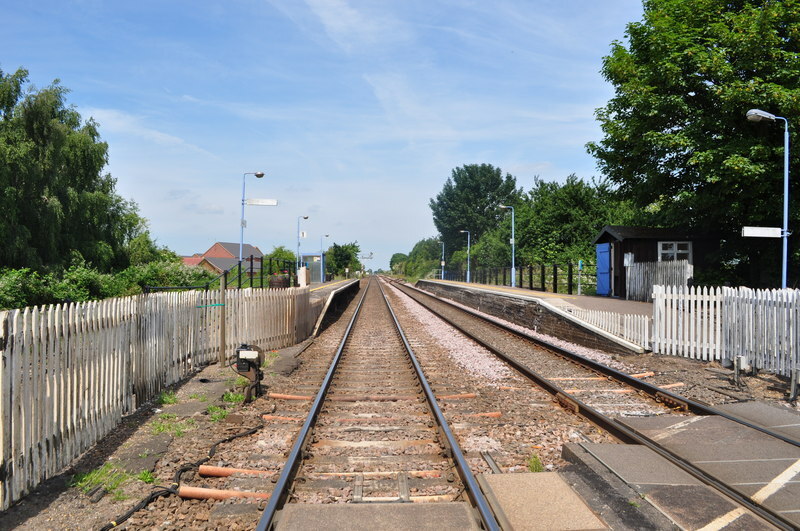 With the opening of additional platforms at Peterborough later this month, the remote Fenland halt of Manea, between March and Ely, will shortly be added as a request stop to most services on the two-hourly Peterborough-Ipswich train. Currently, up to six passenger trains an hour pass through Manea, but only four stop every day (and only then if a passenger requests it). 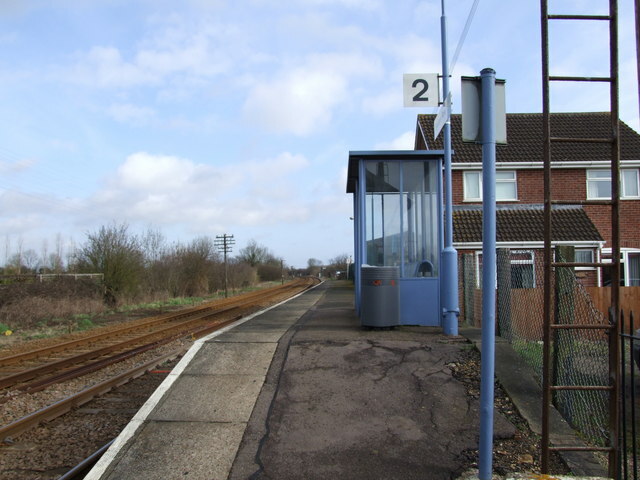 Like the five halts on the Breckland Line discussed above, Manea station is a forgotten remnant of the railway before Dr. Beeching. For years, it has languished without much attention on the edge of a village of 1500 people. Yet from 28 December, it will go from having four to twenty-nine daily trains to its nearest cities.